The banding wheel is an important accessory for potters, individuals and teachers for decorating or hand building. The wheel enables every aspect of the work to become accessible without the operator changing position or the work being handled. Walker Ceramics stock steel and wooden banding wheels. To view our range of banding wheels visit our online shop. 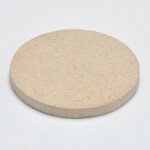 Batts can be used in a variety of ways: on the wheel to alter the wheel head diameter, as a removable work board on the wheel to prevent distortion when taking pots off the wheel and as a work board for hand building. To view our range of batts visit our online shop. 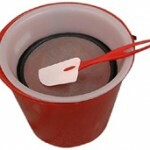 Our buckets come complete with securely fitting snap on lid and carrying handle. A must for all studios. Ideal for the storage of either wet or dry materials. 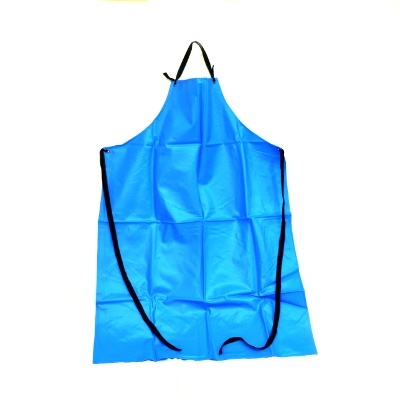 Plastic bottles, all with tight fitting screw-on lids for storage of glazes and colours. 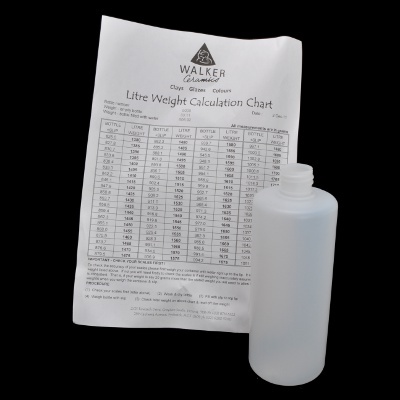 Litre Weight Bottle – is used to calculate accurate litre weight measurement when mixing casting slips. Is supplied with a simple conversion chart and method to test the accuracy of your scales. To view our range of containers visit our online shop. This stainless steel extruder takes the tedium out of creating handles. It can be mounted on either the wall or the bench and comes with four punched dies and one blank die to get you started. Blank dies are available separately as well as a further set of eight shaped dies . 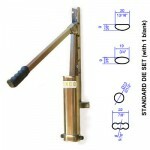 Like our smaller model, the new unit features an all stainless steel barrel and frame. The barrel measures 13.5cm diameter and can hold up to 4kg of clay – perfect for larger section extrusions. The optional die set makes hollow extrusions, or can be used without the central blank for solid sections. To view our range of extruders visit our online shop. 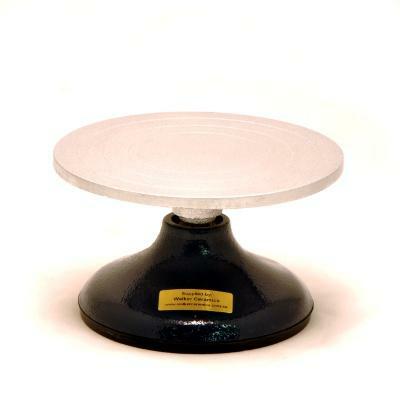 We stock the full range of Talisman Hand Held, Rotary and Test Sieves. 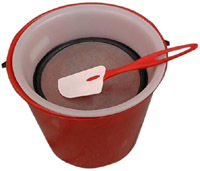 We even have a budget “bucket” sieve, which you can place our 19cm diameter meshes in. Our meshes are stainless steel and are all interchangeable and rubber rimmed, ensuring a snug fit. Meshes available: 30, 60, 80, 120, 200. Refer to our fact sheet for further details on mesh sizing. To view our range of sieves and meshes visit our online shop. Whether you are mixing slip powder or glaze powder you need accurate scales. 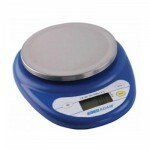 To view our range of scales visit our online shop. Streamlined 31″ design fits through most standard doorways. The Pro-X is intelligent, economical and an environmentally sound choices for spraying virtually anything. 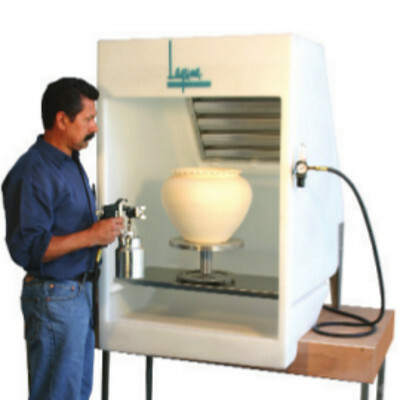 Whether installed in studios, classrooms, production potteries or silk-screening operations, the Pro-X provides quality construction, total material recovery and fast, easy clean-up. 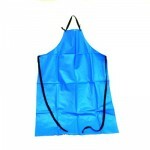 This product range is imported from the USA and is individually costed at the time of enquiry. 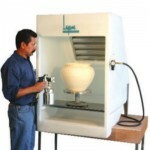 To view the Spray Booth and accessories visit our online shop.